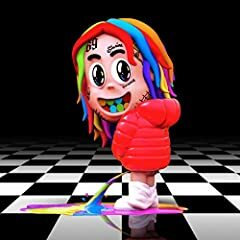 Dummy Boy has a handful of highlights, but 6ix9ine barely shows up for many of the tracks, leaving them to be made or broken by the features. fantaNO didn’t listen to this album confirmed. Would you still give it a 10 if it was made by Kendrick Jamal? why does melon do the 6ix9ine imitations perfectly? All you really need to do to see what he thinks about the album/track is look at the thumbnail. This is the 211th scored review of 2018.